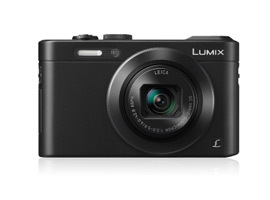 Panasonic Lumix DMC-LF1 review: performance and pocketability? Compact camera sales may be slack due to the ubiquity of smart-phones but enthusiast models are still attractive for their manual control, high-image quality and genuinely compact dimensions. At $499 it sits comfortably at the top-end of the market but it features a 12-Mpix back-illuminated 1/1.7-inch type CMOS sensor and a stabilized Leica Vario-Summicron 28-200mm (equivalent) f/2.0-5.9 zoom. Perhaps the main attraction, certainly a unique feature at this level, is the inclusion of a built in 0.2-inch type 200k dot resolution electronic viewfinder. Other features include a 3-0 inch 920K rear LCD, an exposure mode dial on the top plate and a multi-function control ring surrounding the lens, a feature made popular by the Canon Powershot S100. Not only is it small (102 x 61 x 28mm) and light in weight (170g), but throw in 1080/30/25p video and built-in WiFi with NFC capability for remote operation and wireless transfer, and you have a promising and highly portable camera. 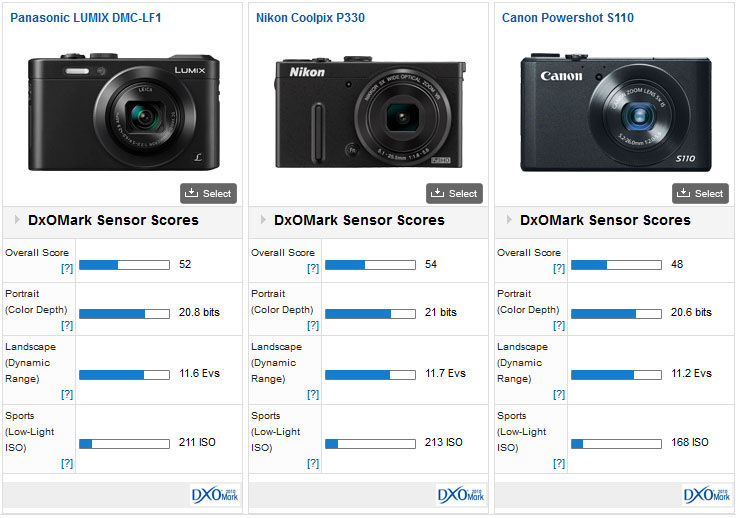 With an overall DxOMark Sensor Score of 52 points,the LF1 ranks 170th in our database alongside some cameras with larger sensors, such as the Nikon 1 J3 and Olympus PEN EPL3. However, the individual metric scores are comparable to this year’s crop of enthusiasts’ compacts using a similar size 1/1.7-inch back-illuminated CMOS image sensor. Against rivals with the same size 12Mpix BI CMOS image sensor (1/1.7-inch type) and sharing a similar 24-120mm f/2-5.9 zoom between them (the Nikon is faster slightly with a f/1.8-5.6 variable aperture), the LF-1 compares favorably overall. 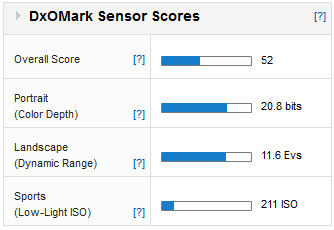 Although the DxOMark Scores are similar, in realty the LF1 is closest in performance to P330. Both those models have around +1/2 stop more in dynamic range and +1/3 stop advantage in ISO over the popular $350 12-Mpix Powershot S110. Although not a fair comparison, the $499 LF1 has to compete against the mighty $750 Sony RX100 II on the retailer’s shelves. The Sony has a Carl Zeiss Vario-Sonnar T* 28-100mm equivalent f/1.8-4.9 zoom and 20.9-Mpix sensor but it’s a much larger 1-inch type as those used by the Nikon 1 series cameras. 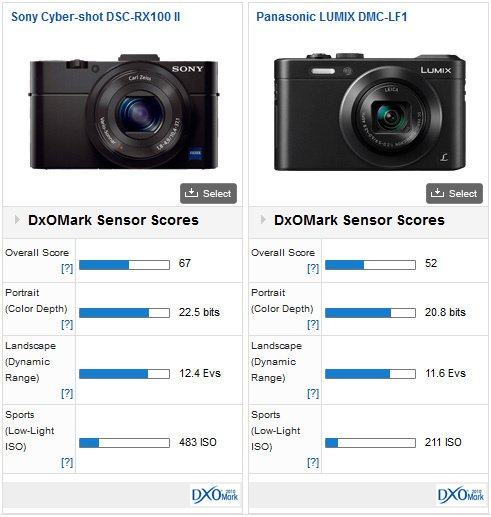 Consequently, the Panasonic achieves a DxOMark Score of 52 against the Sony’s 67. As for the individual metrics, the LF1 has around -1 stop less Color Depth, -2/3 Stop less Dynamic Range and around -1 stop disadvantage in ISO. While the Sony Cyber-shot RX100 II with its collapsible 28-100mm zoom is the best performing enthusiasts’ compact camera in our database, the Panasonic Lumix DMC-LF1 is a good performer and given its EVF, pocket-friendly dimensions and low weight, the firm should be onto a winner.